Laurence Smith's essay "Will We Decamp for the Northern Rim", which ran on Edge points to some possibilities for new ideas in governance. The specter of "biohackers" creating new infectious agents made its obligatory appearance, but synthetic genomic researchers are, almost of necessity, optimists. George Church, one of whose special topics was "Engineering Humans 2.0," told the group that "DNA is excellent programmable matter." Just as automated sequencing machines can read the natural order of a DNA molecule, automated DNA synthesizing machines can create stretches of deliberately engineered DNA that can then be placed inside a cell so as to modify its normal behavior. Many bacterial cells, for example, are naturally attracted to cancerous tumors. And so by means of correctly altering their genomes it is possible to make a species of cancer-killing bacteria, organisms that attack the tumor by invading its cancerous cells, and then, while still inside them, synthesizing and then releasing cancer-killing toxins. Church and his Harvard lab team have already programmed bacteria to perform each of these functions separately, but they have not yet connected them all together into a complete and organized system. Still, "we're getting to the point where we can program these cells almost as if they were computers," he said. His answer did not satisfy all of those present. "We already have enough Neanderthals in Washington," Craig Venter quipped, thereby effectively bringing the Edge Master Class 2009 to a close. Genetic engineering under Church has been following the grwoth of computer science growing by a factor of tenfold per year. 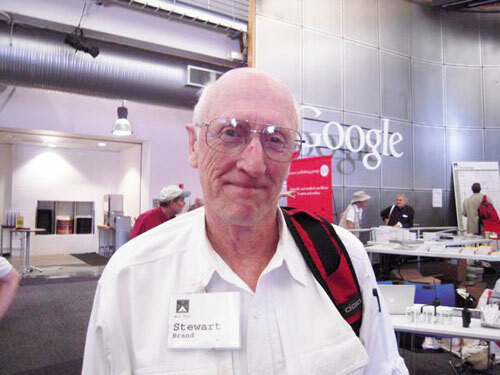 After all, the cost of sequencing a genome dropped from three billion dollars in 2000 to around $50 000 dollars as Stanford University's Dr. Steven Quake genomics engineer announced this week. 17 commercial companies already offer similar services. In June, a "Consumer Genetics" exhibition was held in Boston for the first time. The Vice President of Knome, Ari Kiirikki, assumes that the cost of sequencing a genome in the next ten years will fall to less than $1,000. In support for this development, the X-Prize Foundation has put up a prize of ten million dollars for the sequencing of 100 full genomes within ten days for the cost of less than $10,000 dollars per genome sequenced. It is now up to the companies themselves to provide an ethical and legal standing to commercial genetic engineering. The States of New York and California have already made the sale of genetic tests subject to a prescription. This is however only a first step is to adjust a new a new commercialized science which is about to cause enormous changes similar to those brought about be computer science. Medical benefits are likely to be enormous. Who knows about dangers in its genetic make-up, can preventive measures meet. The potential for abuse is however likewise given. Health insurances and employers could discriminate against with the DNS information humans. Above all however our self-understanding will change. Which could change, if synthetic genetic engineering becomes a mass market, is not yet foreseeable. For example, Craig Venter is working on synthetic biofuels. If successful, such a development would re-align technology, economics and politics in a fundamental way. Of one thing we can already be certain. The question of whether genetic engineering will becomes available for all is no longer on the table. It has already happened. Nearly impossible to put down: engaging original essays from brilliant young scientists on their work -- and its fascinating social, ethical, and philosophical implications. In recent years, he has emerged as a critic of climate change. In March, “The New York Times” profiled him in an article called, "The Globing Warming Heretic." 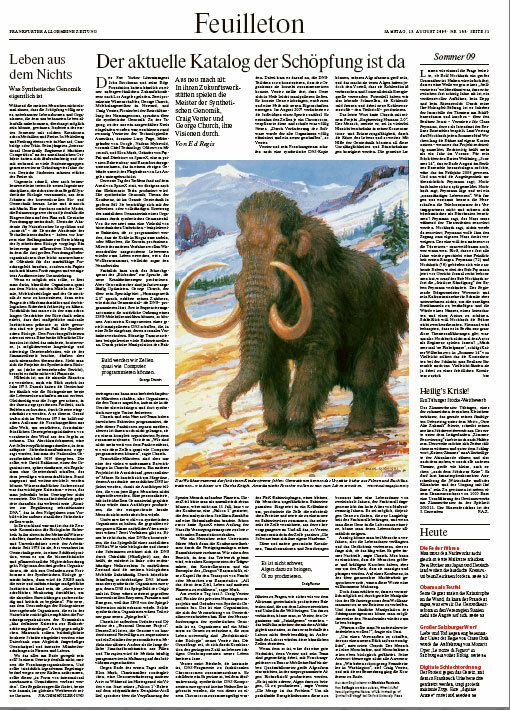 The piece asked, "How did Freeman Dyson, revered scientist, liberal intellectual, problem solver, wind up infuriating the environmentalists?" 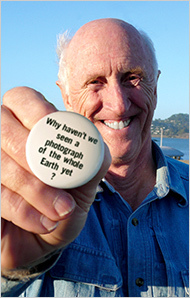 We’ll ask that and more. 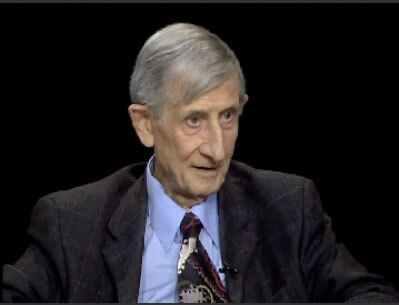 I’m pleased to have Freeman Dyson back at this table. Welcome. CHARLIE ROSE: I’ll get to this in a moment, but you really stirred them up when you talked about global warming, don’t you? In a dressing room above the “Late Show with David Letterman” stage, the electronic-car magnate Elon Musk sat on a sofa, eating cookies. Musk, thirty-eight, is the chairman, C.E.O., and product architect of Tesla Motors, and he was appearing on Letterman to show off the company’s newest design: a sleek sedan called the Model S. After co-founding the Internet start-ups Zip2 and PayPal, when he was in his twenties, in 2002 Musk launched the Space Exploration Technologies Corporation (SpaceX), with the ultimate goal of colonizing Mars; the company recently won a $1.6-billion contract with NASA to resupply the Space Station. In 2004 he provided Tesla with its initial funding, in the belief that electronic vehicles, or E.V.s, together with solar power, will help wean the world off oil.